Why our foods are lacking nutrients? 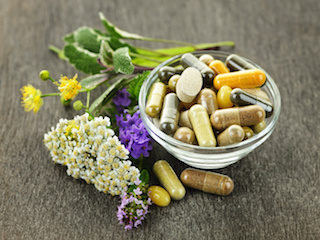 Why we need supplements in your Diets? Whether you have recently decided to eat healthier, or you have been conscientious about your eating habits for a while, are your food choices giving you all the nutritional values you need? Today, our whole foods are still full of the vitamins, minerals, and fiber that our bodies need to function properly. But, it may surprise a lot of people to learn that most of our fruits, vegetables, dairy products and animal meats are less nutritional than 10, 20, or 30 years ago. There are several major reasons why our agricultural products have lost some of the nutrition we need and how that lack of nutrients may be impacting our health. Over the past several decades, the world has seen an increasing demand for fresh fruits and vegetables throughout the year, rather than during normal growing seasons. This means that the former practice of letting an area of land rest between the times it is used for growing crops is no longer practiced. This former practice allowed the land to replenish itself with nutrients that were lost during a growing season. Now, the land is in continuous use and the result is a loss of nutrition in the soil. The animals are fed the crops from these depleted fields and trees, and that means they are also losing valuable nutrients that are passed on in their marketable products. Fertilizers and pesticides may help to grow nice looking crops that are free from insects, but they are also robbing those crops of essential, natural vitamins, minerals, and fiber. In addition to weakening the amount of nutrients in the soil, pesticides often remain on the products when they are sold to the public. Unless people take the time to wash everything before eating, there are putting those chemicals in their bodies. Today’s water filtration systems remove harmful chemicals before being used. But, this same purification precaution is also removing valuable minerals that our bodies require for proper performance. One important mineral needed for hundreds of human biochemical interactions is magnesium. And that is one of the minerals removed during water filtration. 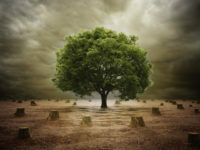 Environmental hazards such as free radicals, air pollution from carbon exhausts, sun damage, and rainfall containing foreign chemicals all contribute to the loss of nutrients in the foods that we eat. So, now that you know that your whole foods remain healthy, just not as healthy as in the past, you’ll want to know how to augment your dietary routine so that you are getting the results you expect for a healthy lifestyle. One way to increase the amount of nutrients you are getting in your food is to purchase organically grown produce, dairy products, and animal meats. But, the best avenue to really ensure that you are able to get and maintain good health requirements is to add nutritional supplements. Supplements are just what the word implies. They are meant to supply essential vitamins, minerals, acids, and fiber that you may not be getting from whole foods. Fortunately, Isagenix has several products that directly address all of the medical industry’s daily dietary overall nutritional recommendations for men and women. Isagenix’s CytoActives is developed for use by everyone and contains cellular essentials such as CoQ10, Vitamin D3, and Resveratrol. 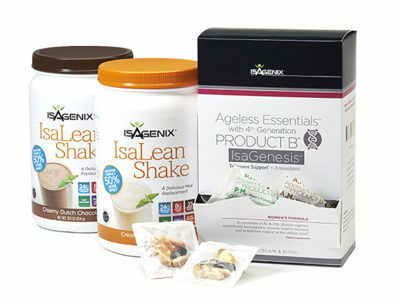 Both of Isagenix’s Complete Essentials Daily Pack and Complete Essentials with IsaGenesis are developed in male and female formulas and they contain antioxidant protection as well as the body’s daily requirements for vitamins, minerals, and fatty acids. Isagenix’s IsaOmega Supreme is developed for use by everyone and it is an excellent source of unpolluted, deep water, Omega 3, fish oil that supports joint, heart, and brain health. You are what you eat. And thanks to Isagenix, you can have your favorite whole foods and all of your essential nutrients too. Learn more about what the recommended daily intake for vitamins and mineral click here. Blog nutritional cleansing, supplements, weightloss.